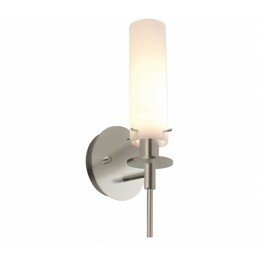 Candle Sconce, elegant in the simplicity of its classic reference and circular forms, is a sleek-lined modern luminaire. 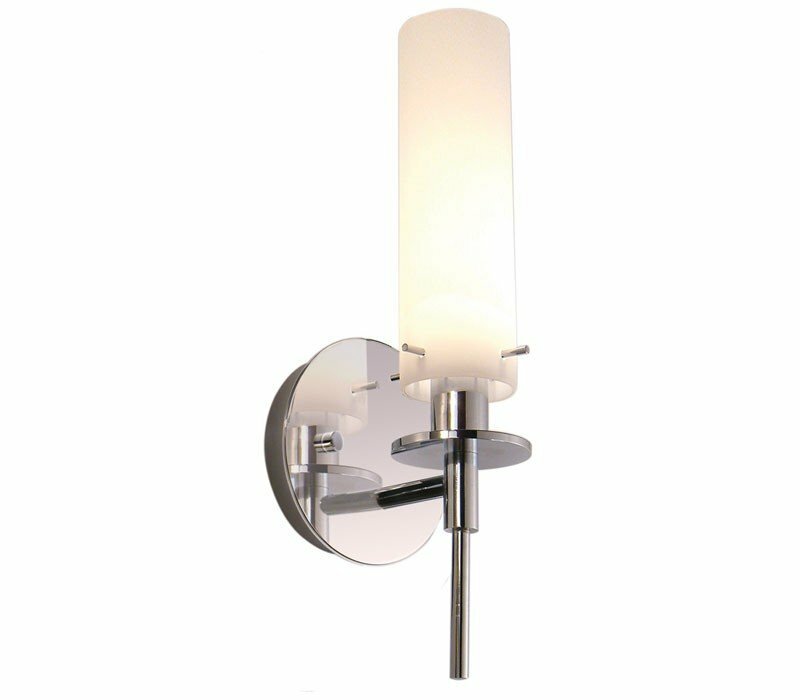 A luminous cased glass cylinder is juxtaposed with metal sockets and exposed pin detailing to highlight the candle-like glow and maintain the clean contemporary influence. The Candle silhouette is ideal for pairing and in multiples for a dramatic and unique lighting dimension. 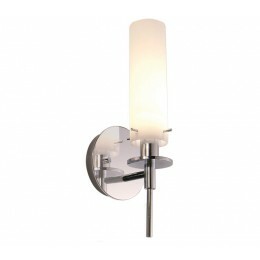 The Sonneman 3031.01 Candle collection Sconce Wall Lighting in Polished Chrome uses Incandescent light output and brings Modern style. This item is 14.5"H x 5"L x 4.5"D. The wattage is 60. The Sonneman 3031.01 requires 1 bulb (not included). Additional Information: Shade-White Etched Cased Glass.